The Kenyan School Fund is a charity that supports the education of primary school aged children. 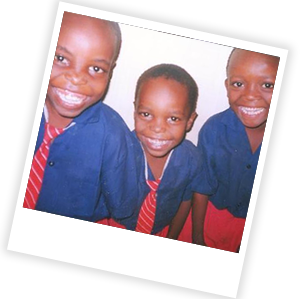 With support from our local community, schools and business we are able to fund schooling in Kenya that is multicultural, teaches a varied curriculum, provides a school uniform, reading and writing equipment. We also focus on the children’s aspirations, well being and social development. We believe the children of our schools will feel valued citizens and become a part of the countries future. The Kenyan School Fund is committed to providing the necessary nourishment and hydration so that the children have the energy to learn. The children have a staple meal each day of rice and beans,with fruit or vegetables. They are given meat or fish twice a week. This can be their only meal of the day, so it is a priority that each child receives a meal and clean water to drink. The Hendin Academy has been educating Kenyan children in the Mombasa area since 2008. The school has a strong sense of community where the teachers, parents and carers regard education as an important structure to their children’s lives. The Kenyan School Fund also founded the Soma Leo Academy in Nyeria near Lake Victoria. The Soma Leo Academy was built on ancestral land of the Manda family. The school building project was completed in 2015, it now educates and nourishes children from rural backgrounds. Both schools are held in high regard in the communities that they support, and are run to government standards and requirements. The Kenyan School Fund has no employees. Both in the UK and in Kenya the Trustees and volunteers who support us are unpaid. Please take the time to look around the website and see further information about the fund and how we are working at present and our future goals.